Speed… Light Speed… Warp Speed… QuarkChain is promising the possibility of 1,000,000 TPS (Transactions per second) are possible with their blockchain that incorporates “sharding”. With 100,000 TPS on their timeline for Q4 2018! Speed, or lack of speed is one of the downsides of a heavily used blockchain. Each blockchain has it’s own unique set of parameters determining it’s blocksize, block generation timing, etc. that determine how fast transactions are processed. With some blockchains, you need to add more to the price of the transaction (fee) to get your transaction processed in a reasonable amount of time. What IS a reasonable amount of time is relative: when you’re trying to buy a snack with BitCoin (BTC) then you don’t want to wait 5 minutes to have your transaction verified, but if you’re buying a house, then it’s not really all that important that the transaction feels real-time. QuarkChain has incorporated several innovations into their blockchain to achieve such astounding speeds, most notably “sharding” with 2 layers of blockchains. The underlying blockchain can be thought of as a regular(ish) blockchain and is used to verify the transactions taking place on the “top” blockchain. The “top” blockchain is “shardable”, they use the term “elastic sharding”, meaning that it can split itself into multiple pieces or shards. That way, the shards stay small and fast. 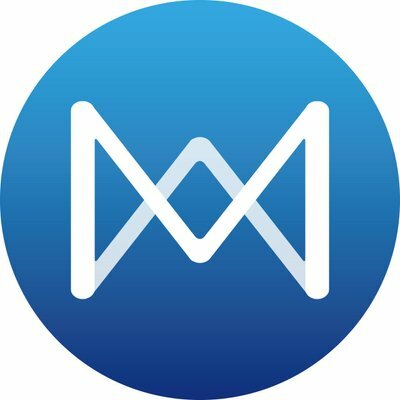 QuarkChain’s wallet will be smart enough so that one login works for both levels of blockchains and shards. With any blockchain or ICO, the team is one of the most critical components of success. Reading their team and advisors is increadible: this team could develop the warp drive from Star trek! Qi Zhou, one of the founders has been a software engineer at Facebook, Google, and DellEMC (storage). At DellEMC he was key developer on the first DSSD dual-controller high availability solution with clustering that delivers 10M+ IOPS (Input/output operations per second). Mr. Zhou has a background in making things fast – really, really fast! You can read through their team on their website – the other members are just as impressive! From their whitepaper: “… the main goal of QuarkChain is to solve scalability problem of the current blockchain based systems. Key applications scenarios of QuarkChain will focus on financial tech areas and game industries.” Scalability is vital: it’s easy to be fast when a blockchain is not heavily used and is small. We all know the financial industry is huge and adoption there is paramount to success. As mentioned in my blog post on Worldopoly, gaming is huge: Total revenue of game apps in 2016 was $33.6 billion! They are currently testing their blockchain on their testnet. They have a working product, this is not vaporware! They have just released the information on their ICO, KYC, and Whitelist. KYC is Know Your Customer and Whitelist is a list of people interested in their ICO. These are normal things for an ICO. They have said there will be no private sales, do not fall for any website saying they have a pool for QuarkChain – there is already one out there scamming people. To participate in the ICO you will need to signup to their Telegram channel and their whitelist. This project could be huge: if their marketing team is as accomplished as their technical team and they get traction in their focus areas in the financial and gaming industries!